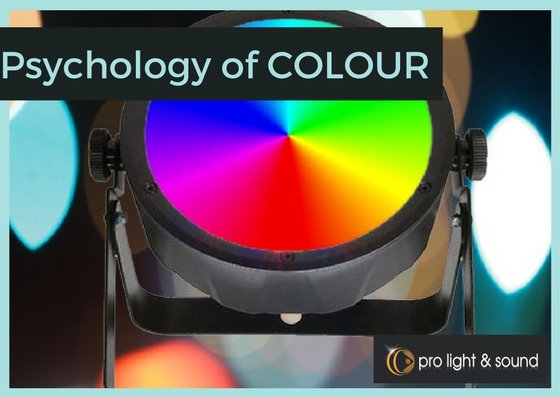 Before you start planning the decor at your next big event, whether it’s a party, gala or corporate function, take the time to consider how colour psychology can have an effect on your guests. The colours you use in your decorations, event lighting and promotional material may have more of an impact on your guests than you think. Aside from visually appealing, colour can be stimulating and have different psychological effects on people. Take a look at the following rundown to help tailor your colour scheme accordingly. The colour red has been scientifically proven to improve the speed and power of reactions. Because it as seen as a cue for danger, it enhances reactions and provides a burst of energy to those who view it. However, this can bring with it feelings of worry, distraction from tasks and preoccupation, which can be negative when people are trying to perform skilled motor and mental tasks. For events where guests are required to participate in mental challenges, such as corporate conferences, red may not be the best option. However, a flash of red light to signal when time is almost up may be helpful in giving people a last-minute surge of energy to complete a task. Blue is often associated with peacefulness and serenity, and as such is a good colour to implement in your event lighting. It reduces stress and makes people feel more relaxed, so would be great to use in any areas of your event venue where you want to encourage calmness. Paler shades of blue enhance feelings of freedom. It is universally liked, so you are unlikely to offend your guests’ palettes with blue spotlights or colour washes. Yellow is typically optimistic, and can stimulate people in a positive way. It is believed to have an emotional stimulus, meaning it’s psychologically very strong, so should be used with caution. The right shade and level of yellow can lift spirits and enhance cheer, whereas too much of it, or the wrong tone, can increase fear an anxiety. Use yellow uplighting in conjunction with other colours such as pale blue or deep green, or mix it with neutrals. Once you have made a decision on the venue and your event theme, make sure you talk to the experts at Pro Light & Sound. With years of experience in lighting equipment and event planning, they have the tools you need to make the best possible impact take your guests and take your function to the next level.